When you purchase a home or move into a new one, there are so many expenses that pop up! Just when you think that you have everything you need, there’s something new that you need. When your friend moves into a new home and you want to get them something special besides the regular bottle of wine, refer to this list to make your gift giving easier! Get ready to get your gifting on! These Mellanni Bed Sheet Sets are ALL the rage! They have thousands of five-star reviews on Amazon, and were recently featured on the morning news. People are literally going nuts for these brushed microfiber 1800 thread count sheets, they’re something everyone needs, and I’ve already ordered myself a set! This Eight Piece Stainless Steel Cocktail Shaker Set is something many of us may not be thinking about when first setting up house, but it sure comes in handy for your first party! They’ll appreciate the thought. Add a bottle of vodka or another spirit to up the gift a little more. When I recently moved into my new home my friend gifted me this book – Homebody: A Guide to Creating Spaces You Never Want to Leave. Joanna Gaines. I have a pretty solid grasp on what I like and how to create spaces that I love. However; let me tell you – this book is STILL incredibly helpful and insightful! Any new homeowner would appreciate it! Look at this cookbook! It’s a classic before it’s even a classic! 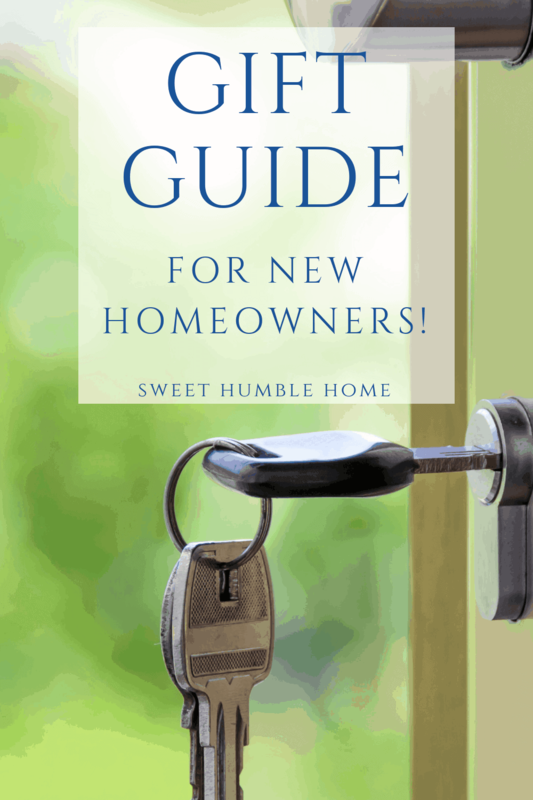 A cookbook is always a welcome gift, and it doesn’t matter if you’re a first time homeowner, newlywed or buying a retirement home. If they love to cook, cookbooks are always a winner! In fact, I have a post Gift Guide for Cookbook Lovers where you can find some of the books in my library that I would be proud to gift to anyone! Check out this gem: Betty Crocker Lost Recipes: Beloved Vintage Recipes for Today’s Kitchen. No Gift Guide for the New Homeowner would be complete without this gift. A new home Christmas ornament for their first Christmas Tree in their new home will be appreciated and treasured! Another easy gift to pick up is a Gift Card to Amazon. They have everything, which makes it easy for your friend to pick up exactly what it is that they need! The fact that this particular card has a cute little Welcome Home tag is a bonus! I’ve always wanted a personalized cutting board – and I’ve never picked one up (for me or for anyone else). A new homeowner could proudly display this in their new kitchen – it helps with decorating, and reminds them of just how special they are to you! I’m buying this for all my girlfriends! Your new homeowner friend might have just purchased their first home and can’t wait for all of the entertaining that they’re going to do! This adorable book: Ladies Who Drink: A Stylishly Spirited Guide to Mixed Drinks and Small Bites would be the perfect gift for that friend! Organizers & storage bins are always needed somewhere in the home, and these are neutral enough to fit any decor. Go a step further and fill them with laundry detergent, fabric softener, and stain sticks. A completely useful gift that they’ll love to receive! 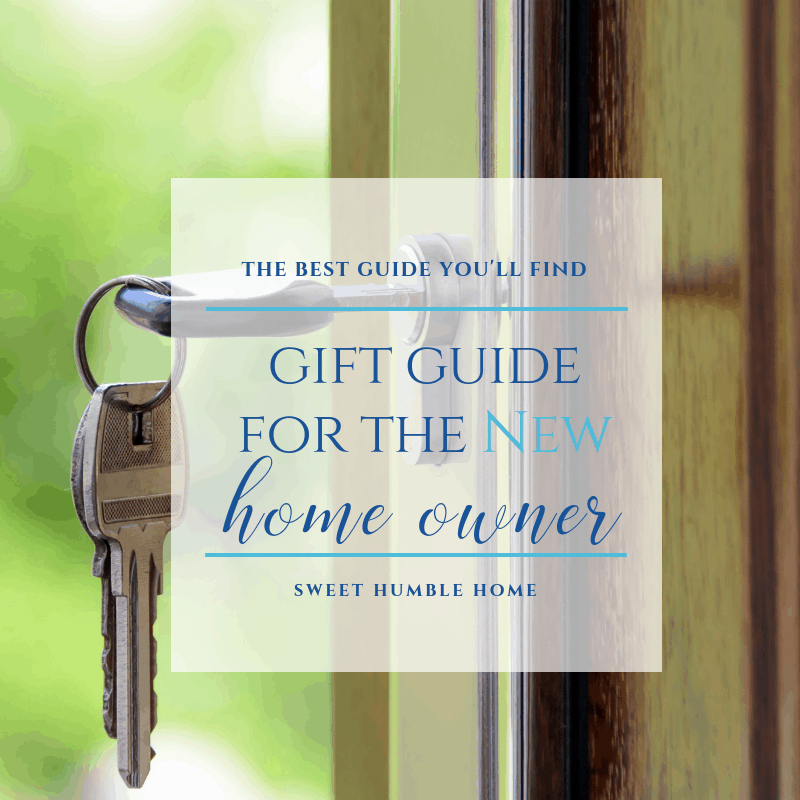 I’m rounding out this Gift Guide for the New Homeowner with the gift that keeps on giving! A magazine subscription to Cook’s Illustrated. This magazine really is the Bible for serious home cooks! Any gift, even a homemade one is precious to the recipient. I have made Housewarming Gift Baskets on several occasions – and they’ve been received very well. Check out what I include in this related post. If you are looking for Gift Guides for other types of gifts, take a look at some of my other gift guides – I hope to help you find the perfect gift! You can find those and many more throughout the blog under the Gift Guide tab! You might find the Gift Guide for the Hostess very helpful when going to someone’s new home for dinner!